Sony Pictures Animation’s film The Star—featuring the amazing vocal talents of Anthony Anderson, Steven Yeun, Aidy Bryant, and many more—soars into theaters on November 10, 2017! One night, a brilliant new Star appeared in the sky. Animals everywhere looked up in awe. Night after night they watched in wonder as the Star grew bigger and brighter in the sky. What did the Star mean? And how far would they travel to find out? 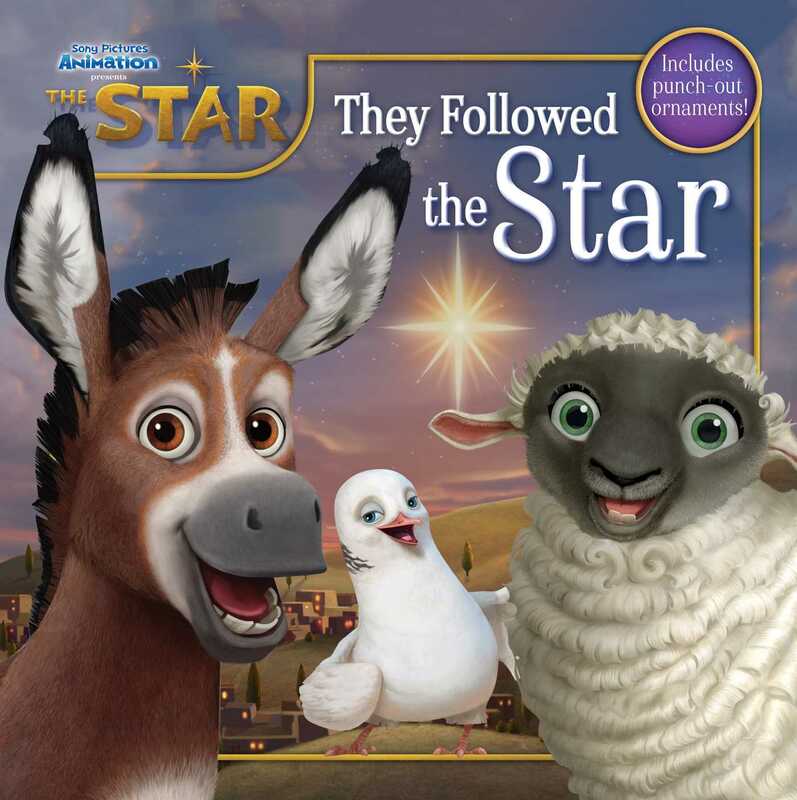 Find out in this sweet storybook based on Sony Pictures Animation’s The Star, which retells the greatest story ever told—the story of the very first Christmas. In Sony Pictures Animation’s The Star, a small but brave donkey named Bo yearns for a life beyond his daily grind at the village mill. One day he finds the courage to break free, and finally goes on the adventure of his dreams. On his journey he teams up with Ruth, a loveable sheep who has lost her flock, and Dave a dove with lofty aspirations. Along with three wisecracking camels and some eccentric stable animals, Bo and his new friends follow the Star and become accidental heroes in the greatest story ever told—the first Christmas.